Several types of hammers are used in woodworking which come in different weights starting at 6oz and go up to 38oz. This guide will be focusing on the Warrington hammer as this is the one Paul Sellers recommends. The handle is usually made from ash and the head is double ended. One end is formed into narrow taper for refining work, and the other end has a round striking face which is ever so slightly domed across the face. 10oz is a great weight for driving pins and tapping joints together. At this size, this hammer is great for a variety of delicate and precise hammering tasks. For larger nails and joints, a weight of 12oz and up would be more suitable. 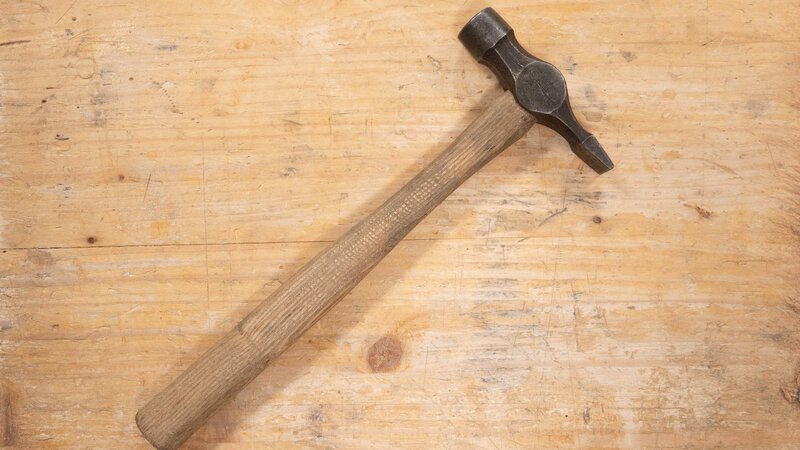 A claw hammer has a curved fork at one side of the hammerhead which helps to lever nails out of wood.